Situated on East Long Green this quintessential Rosemary Beach home with newly constructed carriage house are centrally located for you to enjoy all the activity in Town. 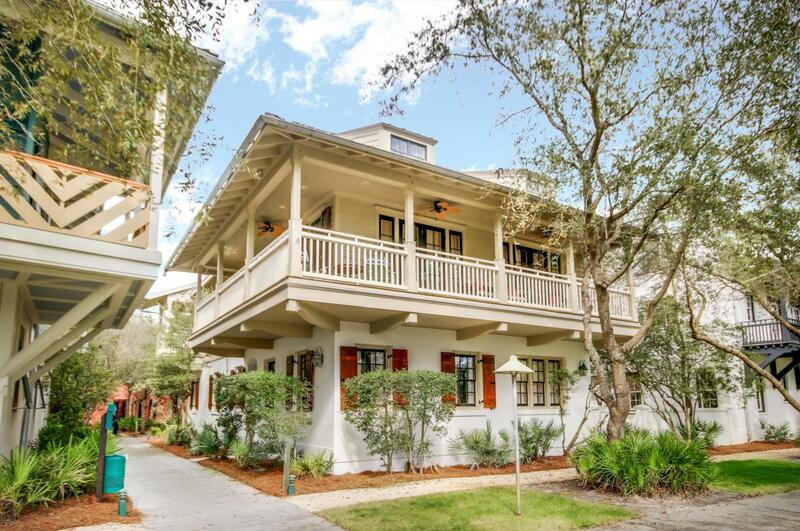 Located on one of the largest lots in Rosemary Beach, a spacious, sunny courtyard offers lots of privacy and boasts a heated pool, hot tub and pool house. The main house has three bedrooms plus a media room. Gather with family and friends in the inviting living room that offers a fireplace and overlooks East Long Green park. A brand new carriage house boasts one bedroom and a sleeping loft. There is a two car garage below with plenty of storage.